Blue Spruce Sky – KeaPOD 49 | KeaNeato! I love it when the sky and the sun work together to create such a varied blue and green landscape. 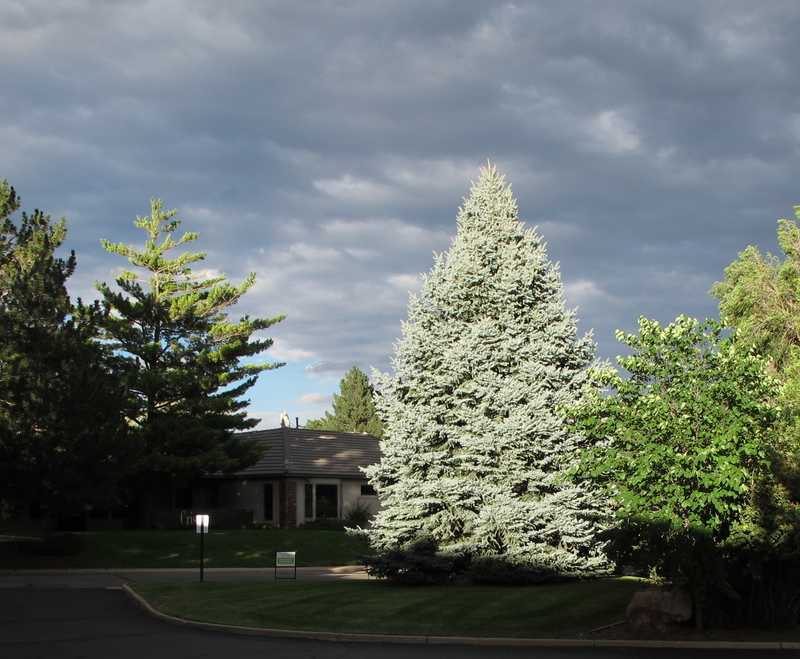 Photo of the Doris Curtis blue spruce at The Geological Society of America in Boulder, Colorado, USA, by keagiles. This entry was posted in beautiful, POD (picture of the day) and tagged blue spruce, Boulder, Colorado, photography, sky. Bookmark the permalink.